How do I contact Little Lake County? How do I get my event listed on your calendar? Will you promote my business on Facebook or your website? Will you promote my charity or fundraiser? How do I partner with Little Lake County to promote my business? Where can I find that one article I saw before? Why was my comment or post deleted from Facebook? How can I write for Little Lake County? I missed an article on an event or promotion that has already passed! How can I make sure to stay abreast of all the latest news? Can I repost your article on my own website or Facebook page? Why are there ads on your website? You may email Melissa, our Editor-in-Chief, at littlelakecounty[at]gmail[dot]com. You can also send us a private message through our Facebook page. We thank you for your patience in receiving a reply. Our staff does not keep regular office hours, so online contact is always our preferred method of communication. If you have a family-friendly event (preferably low-cost) with no advanced registration required, please submit your information using this form. Please remember to include all relevant information including a website link for more information. There is no cost to be listed on the calendar. We do ask for as much advance notice as possible to include your listing on our calendar. Last minute requests cannot be accommodated and not all submissions may be selected for inclusion. We do not accept unsolicited content for our Facebook page or website. 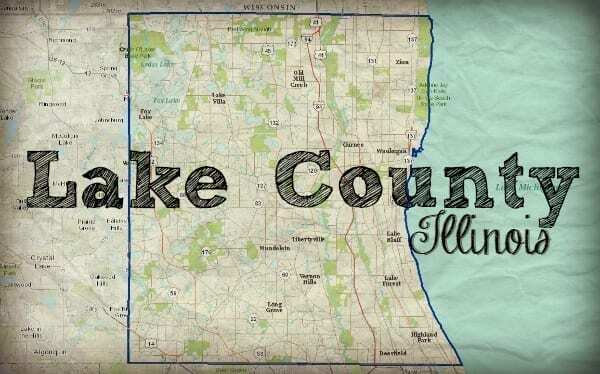 If you are interested in partnering with Little Lake County and learning more about our paid marketing solutions, please email littlelakecounty[at]gmail[dot]com for more information. Local businesses or organizations that are family-friendly are welcome to post on our Saturday Shout Out thread on Facebook. Typically posted on our Facebook timeline on Saturday mornings, it is our way to allow small, local businesses to reach our readers and connect with each other for FREE! Charity events, special deals, and home-based or craft businesses are welcome to participate. Please remember Little Lake County Editors reserve the right to edit or delete timeline content at all times. Please do not post directly to the timeline and only comment on the Saturday Shout Out Thread. All timeline posts of a promotional nature are deleted from our timeline. Little Lake County will not post information on your behalf, you are responsible for posting to the Saturday Shout Out thread. Due to the overwhelming generosity of Lake County residents and the number of fundraising efforts continuously held in our coverage area, we are unable to publish information about every fundraising event or charity. To ensure that we can give proper attention to a given charity at one time, we aim our focus on one charitable partner each quarter. In this way, we can offer real impact for one charity, instead of a diluted effort across many. Please note that we do not publish or promote school fundraisers. If you are a small, local charity that serves mothers and/or children in Lake County. You may submit a request to littlelakecounty[at]gmail[com] to be considered as a future charitable partner. Please email littlelakecounty[at]gmail[dot] come to receive our digital media kit that contains our marketing campaign packages and social media solutions for your business. We offer integrative strategies that include but are not limited to: display advertising, website editorial, sponsorship opportunities, newsletter features, and public relations events. We are happy to customize a campaign to fit your needs and budget. Read more about partnering with Little Lake County. Unlike print media, our articles never get sent to the recycling bin. You’ll find links to our most recent or seasonal publications on the front page of our website. Utilize the drop-down menu to isolate your topic of interest. You can always enter keywords into our search function (right side, above partners) to search our archives. Little Lake County is meant to be a congenial and safe place for parents to connect with one another. We appreciate all our followers on Little Lake County, but we reserve the right to edit timeline content at all times as administrators of the page. Content that is not in keeping with constructive, positive dialogue may be removed now and in the future. Repeated violations of this content policy may result in the user being being blocked and or banned from the page. Dissenting opinions that remain on-topic are always welcome; commentary meant to incite or provoke is not. Thank you for being part of our community and participating in civil discourse. In addition, posts to our timeline to promote a particular product, business or event will be deleted at the discretion of our editorial staff. Periodically, we accept new writers who wish to contribute to the Little Lake County website. Writers must be local parents living in our coverage area. You do not need previous writing experience (although helpful) but you must be an on-the-go parent with a passion for Lake County and a willingness to learn. To be eligible to contribute to Little Lake County, interested parties must submit a writing sample to our Managing Editors for consideration. Candidates must complete a one-on-one session along with periodic training sessions as needed. All writers are freelance contributors and not employees of Little Lake County. Writers are expected to contribute a minimum of one article per month in order to remain on our active roster. Our primary coverage area is Lake County, Illinois; however, because Lake County families often venture outside our borders seeking family fun we will on occasion extend our coverage. Our “Worth The Trip” features cover family attractions that are within a 1-2 hour drive from Lake County, most often covering venues or events in Cook, McHenry, or Kenosha (WI) Counties as well as the Metro Chicago and Milwaukee areas. Our “Gas Tank Getaway” features cover family attractions up to a 6-hour drive from Lake County. In the Spring of 2015, due to popular reader demand, we launched our monthly column, “Little McHenry County.” Each month our McHenry County Correspondent and real-life McHenry County Mom shares information about family-friendly events and attractions within McHenry County, encouraging Lake County readers to cross our western border. Little Lake County produces several playdate and Mom’s Night Out events throughout the year. These are wonderful ways to have fun and connect with other local parents. Please visit our Upcoming Events page. Little Lake County maintains the most comprehensive online calendar for family-friendly, FREE or low-cost, drop-in, events in the Lake County area. Check our event calendar page regularly for ideas for where to find local, family-friendly fun on a daily basis. Each morning, we share our Editor’s Pick of the Day, on our Facebook page and we publish our Three for Free Weekend picks on our website every Friday. Newsletter subscribers receive our Three for Free picks on Thursday nights to better plan their weekend excursions. Weekly newsletter subscribers receive our Weekly Planner on Sundays, which gives them the Editor’s Picks of the Day for the entire week in advance. Our newsletter subscribers receive links to all our latest stories or announcements in their email inbox. Choose from our daily digest, our weekly planner on Sundays, or our Three for Free Weekend newsletter on Thursdays or all three to make sure you don’t miss a thing! One Dad enthusiastically shared with us that it’s the only email subscription he looks forward to and doesn’t immediately delete. We have the news you actually use. Copying may be a sincere form of flattery, but in today’s digital age all our website content is considered the intellectual property of Little Lake County. We welcome and encourage you to share links to our articles on your social media channels, but we ask you to tag the Little Lake County Facebook page when using Facebook. If you would like to link to one of our articles, we would be happy to email you our “Featured on Little Lake County” button and/or logo graphic which you can link back to the original article. Contact Melissa at littlelakecounty[at]gmail[dot]com. If you wish to use select passages from any of our articles, please be sure to identify it as a quote and cite and link back to Little Lake County. When in doubt, please ask in advance prior to usage. Reproduction of our website content in part or in its entirety without the express written consent of Little Lake County is considered copyright infringement. Little Lake County started as a volunteer effort by parents looking for fun activities to share what they found and connect with local families. As the site has grown, so has the labor and costs associated with offering this resource to our readers. We accept advertisers and promotional partners in order to offset these expenses and as compensation for our labor. In regards to stories on our website, if we have received compensation and/or complimentary products or services, we will disclose this in the post.